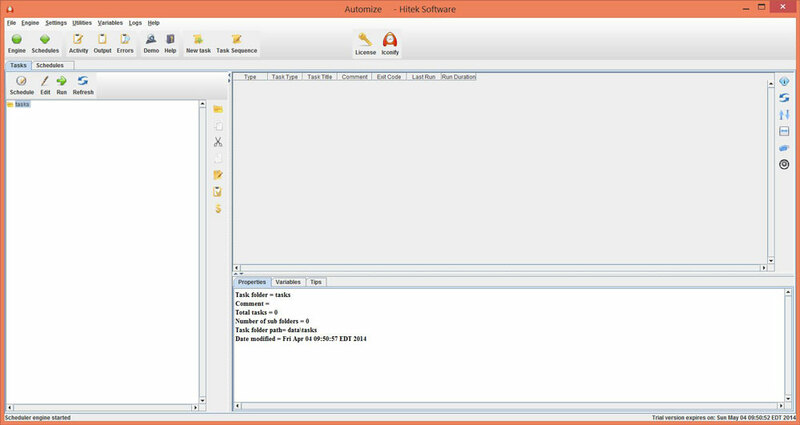 "Automize is an advanced task scheduler for your PC." If you're seeking a simple yet advanced task scheduler for your PC, look no further. 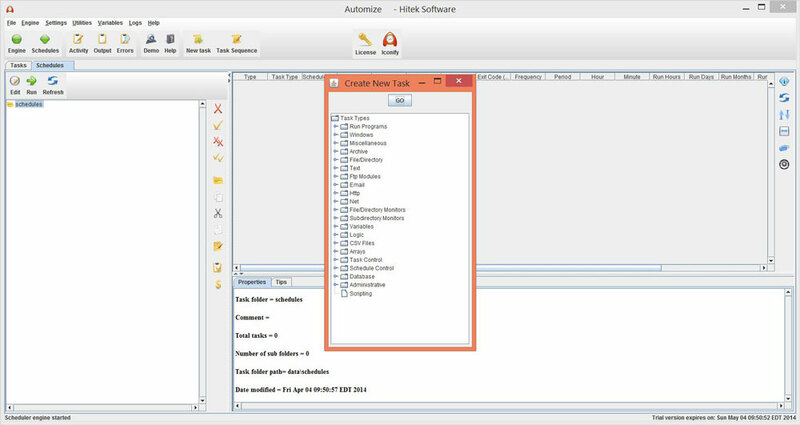 With Automize from Hitek Software, you can make the system optimizations that matter to you the most without all of the extra, unnecessary tools and distractions that are usually thrown in with task scheduling applications - Seriously, do any of us really need another un-installation program? The answer to that rhetorical question is, "No." Automize is simple and to the point. If you have a task that you want to schedule, you can do it, hassle free. There is no programming required and you can run 1000+ tasks per day. Automize can handle a wide range of tasks including, but not limited to, transfering and monitoring FTP files, downloading files straight from the web - my personal favorite -, advanced zip, unzip, copy, synchronize folders, directory and file monitoring, monitoring web sites and their traffic, check for new emails and send new emials, Telnet, ping, and database SQL just to name a few. In addition to all of those task types, you are able to run the tasks individually, simultaneously, conditionally, sequentially, or continually. Dynamic variables allow you to set even more highly advanced tasks to be run. Command line utilities are also available to help you you control more tasks and the scheduler. This program has been written in java and is compatible with several versions of Windows. Go ahead and download Autmoize today so that you can start scheduling all of your advanced tasks on your PC today.